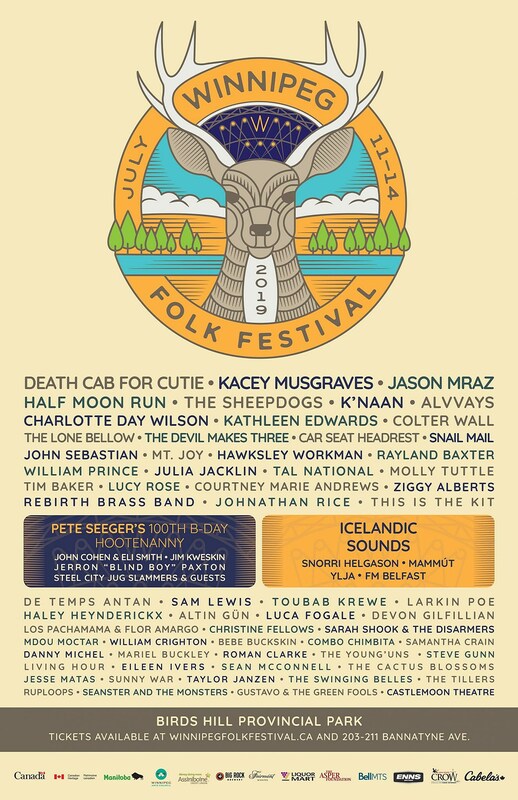 Winnipeg Folk Festival 2019 happens July 11-14 in Birds Hill Provincial Park, and the lineup includes Death Cab For Cutie, Kacey Musgraves, Alvvays, Kathleen Edwards, Colter Wall, Car Seat Headrest, Snail Mail, Julia Jacklin, Courtney Marie Andrews, Haley Heynderickx, Christine Fellows, Sarah Shook & the Disarmers, Combo Chimbita, Steve Gunn, and more. Tickets are on sale now. Full lineup and announcement video below.